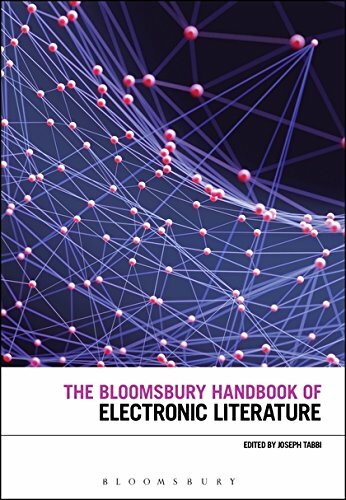 9781474230254 | Bloomsbury USA Academic, March 23, 2017, cover price $172.00 | About this edition: The digital age has had a profound impact on literary culture, with new technologies opening up opportunities for new forms of literary art from hyperfiction to multi-media poetry and narrative-driven games. 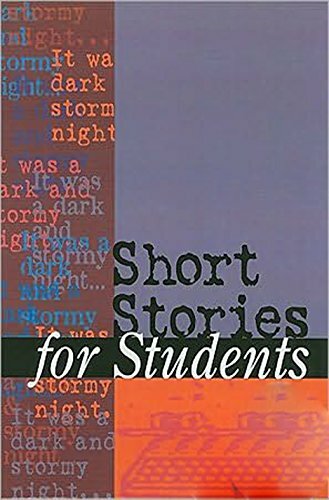 9781474274135 | Bloomsbury USA Academic, March 23, 2017, cover price $172.00 | About this edition: David Jones â author of In Parenthesis, the great epic poem of World War I â is increasingly recognised as a major voice in the first generation of British Modernist writers. 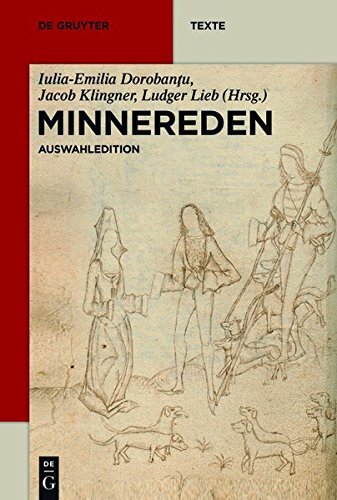 9783110464313 | Walter De Gruyter Inc, December 20, 2016, cover price $35.00 | About this edition: This edition offers a representative selection of Minnereden texts, structured along the lines of genre typology. 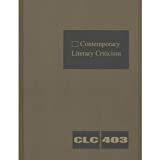 9781410329042 | Gale Group, November 18, 2016, cover price $378.00 | About this edition: Twentieth-Century Literary Criticism assembles critical responses to the works of 20th-century authors of all sortsâ? 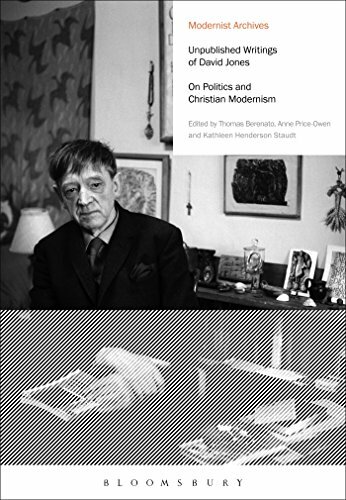 9781410329035 | Gale Group, October 28, 2016, cover price $378.00 | About this edition: Twentieth-Century Literary Criticism assembles critical responses to the works of 20th-century authors of all sortsâ? 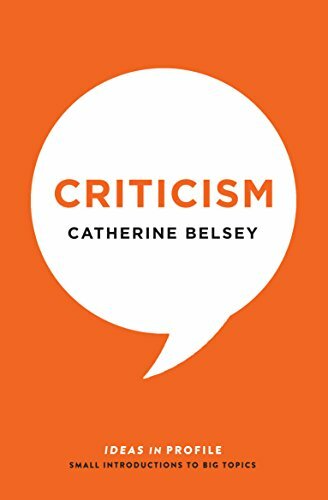 9781410329028 | Gale Group, October 7, 2016, cover price $378.00 | About this edition: Twentieth-Century Literary Criticism assembles critical responses to the works of 20th-century authors of all sortsâ? 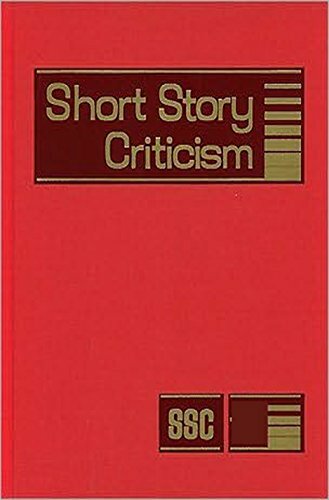 9781410329011 | Gale Group, September 16, 2016, cover price $378.00 | About this edition: Twentieth-Century Literary Criticism assembles critical responses to the works of 20th-century authors of all sortsâ? 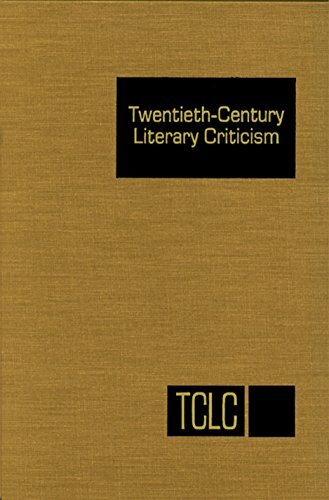 9781410329004 | Gale Group, August 26, 2016, cover price $378.00 | About this edition: Twentieth-Century Literary Criticism assembles critical responses to the works of 20th-century authors of all sortsâ? 9781410332547 | Gale Group, November 11, 2016, cover price $378.00 | About this edition: Literature Criticism from 1400-1800 assembles critical responses to the literatures of the 15th through the 18th centuries, covering writers and works of fiction, poetry, drama, journalism, philosophy, political theory, science, math and other genres from every region of the world. 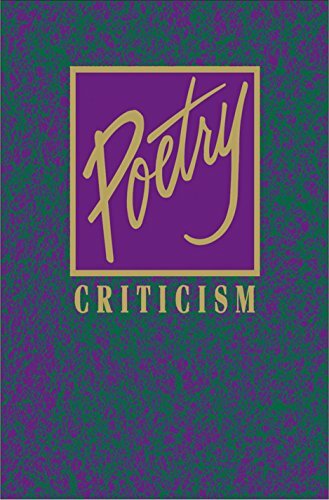 9781410314581 | Gale Group, October 14, 2016, cover price $378.00 | About this edition: Literature Criticism from 1400-1800 assembles critical responses to the literatures of the 15th through the 18th centuries, covering writers and works of fiction, poetry, drama, journalism, philosophy, political theory, science, math and other genres from every region of the world. 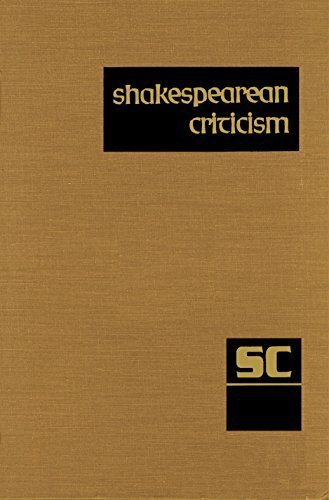 9781410314574 | Gale Group, September 9, 2016, cover price $378.00 | About this edition: Literature Criticism from 1400-1800 assembles critical responses to the literatures of the 15th through the 18th centuries, covering writers and works of fiction, poetry, drama, journalism, philosophy, political theory, science, math and other genres from every region of the world. 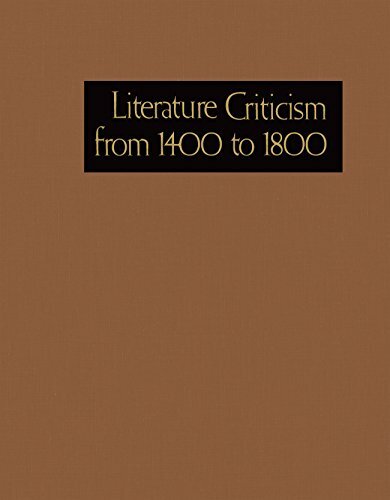 9781410314567 | Gale Group, August 12, 2016, cover price $378.00 | About this edition: Literature Criticism from 1400-1800 assembles critical responses to the literatures of the 15th through the 18th centuries, covering writers and works of fiction, poetry, drama, journalism, philosophy, political theory, science, math and other genres from every region of the world. 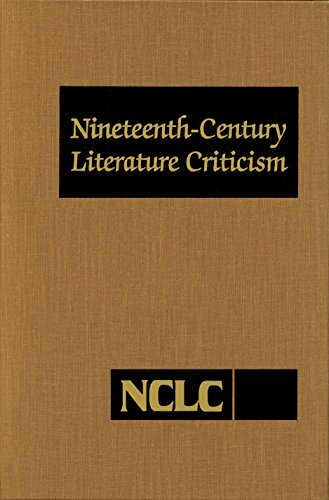 9781410314550 | Gale Group, July 8, 2016, cover price $378.00 | About this edition: Literature Criticism from 1400-1800 assembles critical responses to the literatures of the 15th through the 18th centuries, covering writers and works of fiction, poetry, drama, journalism, philosophy, political theory, science, math and other genres from every region of the world. 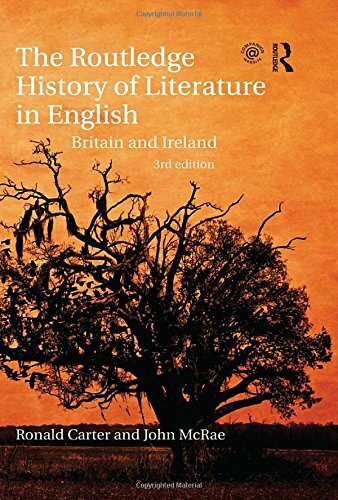 9780415839747 | 3 revised edition (Routledge, October 24, 2016), cover price $240.00 | About this edition: The Routledge History of Literature in English covers the main developments in the history of British and Irish literature, with accompanying language notes which explore the interrelationships between language and literature at each stage. 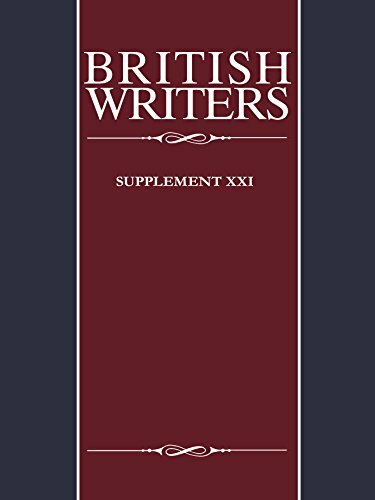 9780415243179 | 2 sub edition (Routledge, May 29, 2001), cover price $150.00 | About this edition: Wide-ranging and accessible, this textbook covers the main developments in the history of British and Irish literature from AD 600 to the present day. 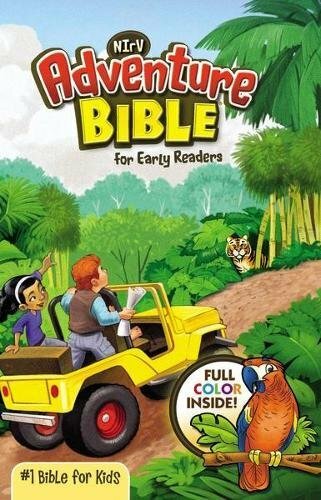 9780415123426 | Routledge, July 1, 1997, cover price $105.00 | About this edition: This new guide to the main developments in the history of British and Irish Literature uniquely charts some of the main features of literary language development and highlights key language topics. 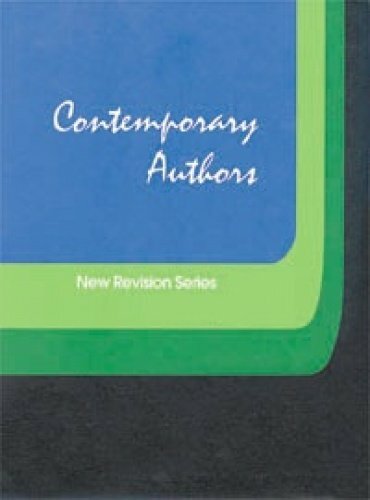 9780415243186 | 2 edition (Routledge, July 1, 2001), cover price $46.95 | About this edition: This is a completely updated and expanded second edition of the wide-ranging and accessible Routledge History of Literature in English. 9780415123433 | Routledge, June 1, 1997, cover price $29.95 | also contains The Day My Brain Exploded: A True Story; Library Edition | About this edition: This new guide to the main developments in the history of British and Irish Literature uniquely charts some of the main features of literary language development and highlights key language topics. 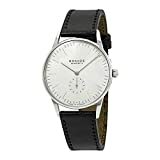 9781441129086 | Bloomsbury USA Academic, December 18, 2014, cover price $172.00 | About this edition: The Bloomsbury Companion to Holocaust Literature is a comprehensive reference resource including a wealth of critical material on a diverse range of topics within the literary study of Holocaust writing. 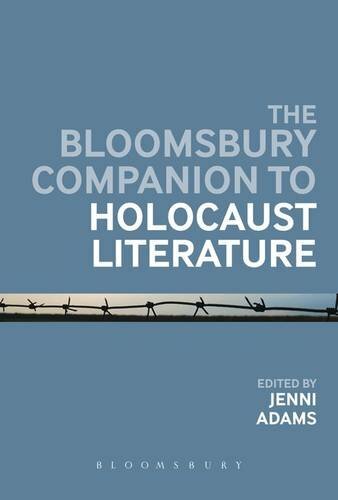 9781474296311 | Bloomsbury USA Academic, October 20, 2016, cover price $39.95 | About this edition: The Bloomsbury Companion to Holocaust Literature is a comprehensive reference resource including a wealth of critical material on a diverse range of topics within the literary study of Holocaust writing. 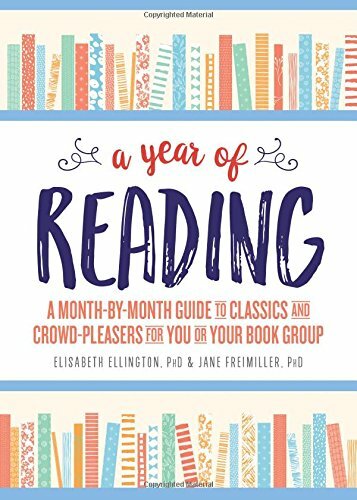 9781492642220 | 2 edition (Sourcebooks Inc, October 1, 2016), cover price $14.99 | About this edition: Desire a book to cozy up with by a wintery window? 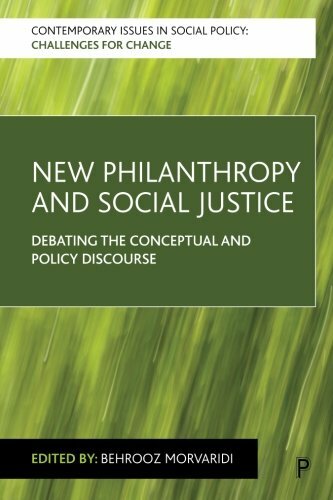 9781447316978 | Policy Pr, July 15, 2015, cover price $115.00 | About this edition: Over the past twenty years, wealthy individuals and private corporations have become increasingly involved in philanthropy, often by establishing foundations targeted at helping to reduce poverty, disease, and other social problems. 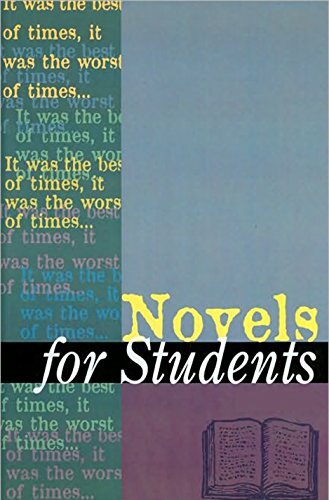 9780389202721, titled "Twentieth Century Women Novelists" | Barnes & Noble Imports, June 1, 1985, cover price $46.50 | also contains Twentieth Century Women Novelists | About this edition: Essays analyze the novels of contemporary British women authors, such as Margaret Drabble, Doris Lessing, Muriel Spark, and P.
9781447316985 | Reprint edition (Policy Pr, August 15, 2016), cover price $42.95 | About this edition: Over the past twenty years, wealthy individuals and private corporations have become increasingly involved in philanthropy, often by establishing foundations targeted at helping to reduce poverty, disease, and other social problems.